Wind and rain rocked the rangers' float on Ross Lake in the North Cascades. 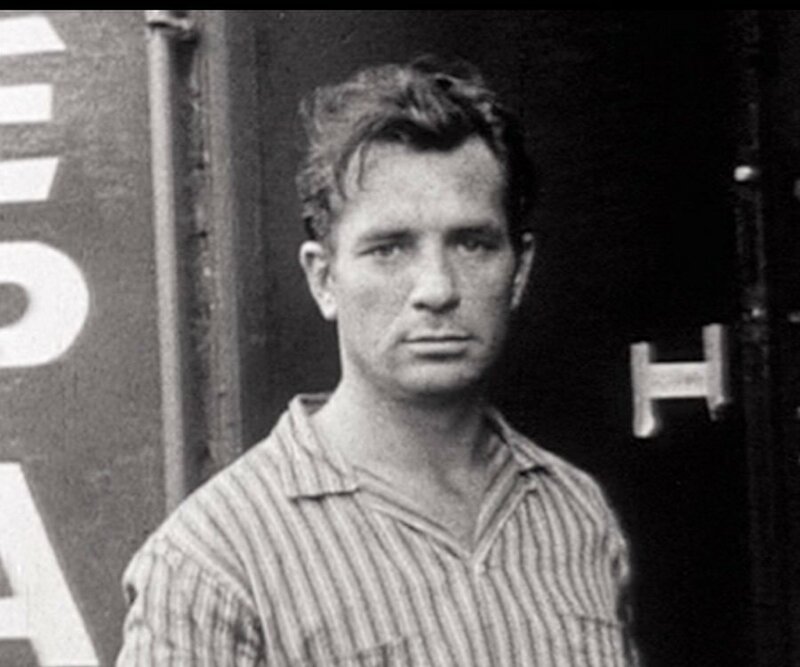 Jack Kerouac slept little. The next day he would cross the lake, then ascend to a cabin in paradise. But when he finally saw the cabin, after riding a horse up switchback trails, drenched in a poncho like "a shroudy monk," he was terrified. The name of the place belonged in a novel. Desolation Peak. His guide shared advice -- talk to yourself but never answer -- then left. "And I was alone on Desolation Peak for all I knew for eternity. I was sure I wasn’t going to come out of there alive anyway." He cleaned the hut, made dinner, stepped into the darkness and saw the splattering of stars. Then “the only thing was to go to bed and stick my head under the down." He was 34, movie star handsome but writerly restless. His lone published novel had earned him little money or acclaim. He had typed his second novel on a scroll, 120-feet long, single-spaced, no paragraphs. "Here's your novel," he’d told his editor. The publisher balked. Now, alone on a mountain, he worried that his best writing was behind him. But when he awoke, heaven lay at his feet. "Lo, in the morning I woke up and it was beautiful blue sunshine sky and I went out in my alpine yard and there it was. 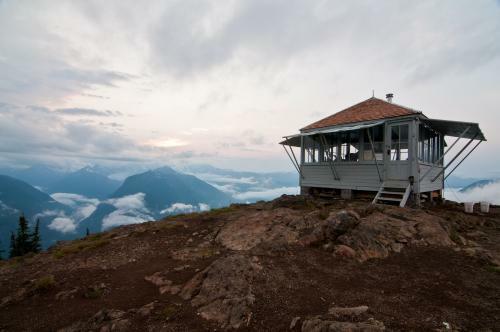 . . hundreds of miles of pure snow-covered rocks and virgin lakes and high timber, and below, instead of the world, I saw a sea of marshmallow clouds flat as a roof and extending miles and miles in every direction, creaming all the valleys..."
As fire lookout, his only job was to stay -- for nine weeks -- and watch for smoke. So he settled in, "feeling happier than I had in years." He rose with the sun, washed in a tin basin of melted snow, cooked on a camp stove, then sat for hours in a canvas chair facing the mountains. He scribbled in notebooks, began a novel, translated the Buddhist Diamond Sutra into everyday English. I took this shot of the peak, through binoculars, from the highway through the North Cascades. But by mid-July, Kerouac's private paradise was hell. Blackflies, deerflies, mosquitoes, bees. His only human contact came each evening – the "big event in the loneliness," when lookouts chatted over CB radio. On Desolation Peak he'd hoped to "come face to face with God or Tathagata and find out once and for all what is the meaning of all this existence. But instead I'd come face to face with myself. . . and many's the time I thought I'd die of boredom or jump off the mountain." He sang Sinatra over the cliffs. With a deck of cards, he played a baseball game he'd invented as a kid. But mostly he worried. His scroll/novel might never be published. His mother, Mémère, was aging. He was aging, too. "How sad my great bronzed face in the windows with their dark backdrop, the lines in my face indicating halfway in life, middle age almost." He'd hoped to quit smoking but when tobacco ran out, he radioed rangers, then hiked down and back up with a can of Prince Albert. For the rest of the summer, Jack Kerouac never met a soul, except his own. -- "My life is a vast inconsequential epic with a thousand and a million characters -- here they all come as swiftly as we roll east, as swiftly as the earth rolls east..."
-- "Meanwhile the sunsets are mad orange fools raging in the gloom..."
And in August -- snow. "It came surling my way sending radiant white heralds through which I saw the angel of light peep…"
Solitude left his mind "in rags." He spent last weeks dreaming of "the world" below. "Enough of rocks and trees and yalloping y-birds. I wanta go where there's lamps and telephones and rumpled couches with women on them." And when CB radio called lookouts in, he gave a shout, packed up, and hiked down. He hitched to Seattle, drank cheap wine, then headed for Mexico. There he got another scroll and pounded out 82 pages about his summer. “Those afternoons, those lazy afternoons when I used to sit, or sometimes lie down on Desolation Peak... “ Desolation Angels, a wild mix of memoir, haiku, and stream of consciousness, was rejected. Then one year from the day he descended, On the Road was published. A major critic called it "the clearest and most important utterance yet made by the generation." His lover Joyce Johnson remembered him reading the review just after midnight. "Jack kept shaking his head. He didn't look happy exactly, but strangely puzzled, as if he couldn't figure out why he wasn't happier than he was. We returned to the apartment to go back to sleep. Jack lay down obscure for the last time in his life. The ringing phone woke him the next morning and he was famous." A month later he began his best book, The Dharma Bums. Gone was the manic, tangled prose. In its place was a sweet romance of vagabonding solitude, ending in his singular summer, its epiphanies, sorrows, and descent from desolation. 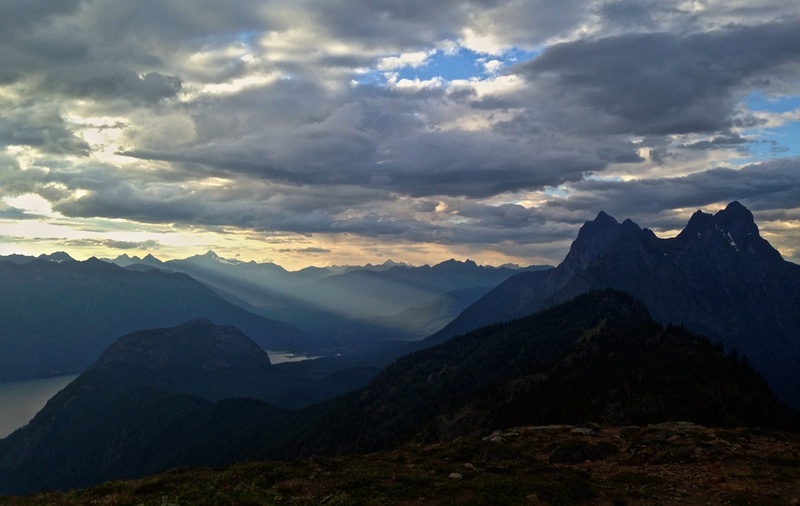 "As I was hiking down the mountain with my pack I turned and knelt on the trail and said 'Thank you, shack.' Then I added 'Blah,' with a little grin, because I knew that shack and that mountain would understand what that meant, and turned and went on down the trail back to this world."